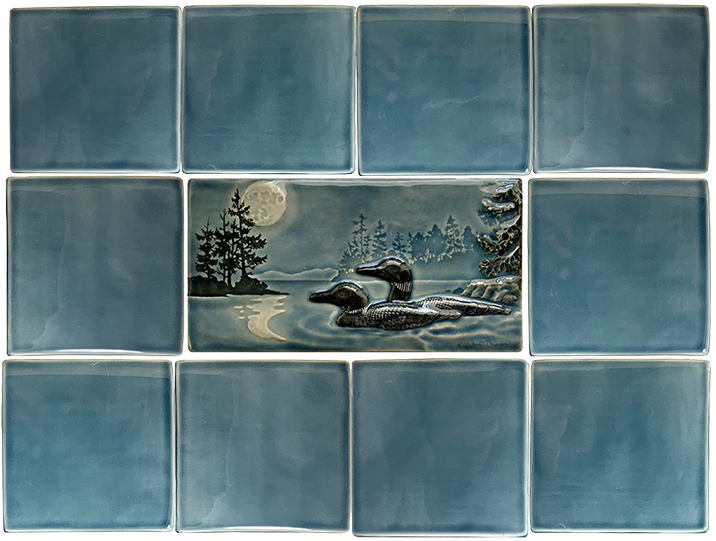 Special Note: As of August 1st 2017 our tiles will be for indoor use only. 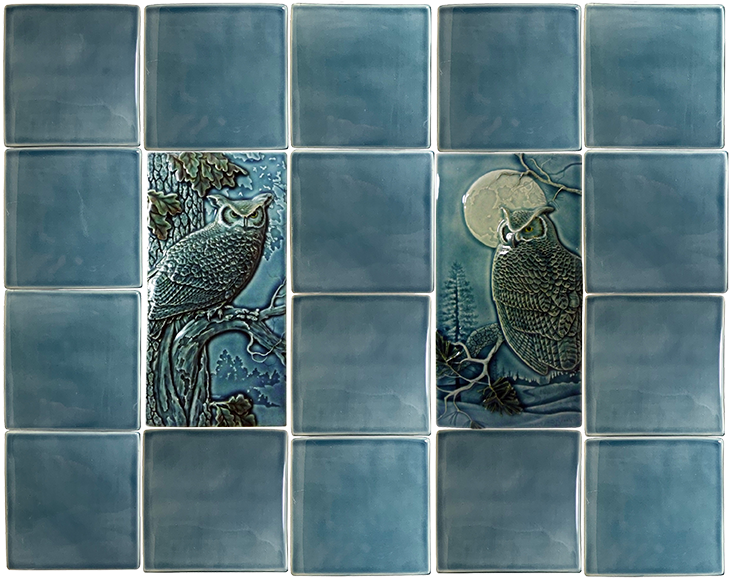 Our tiles look lovely installed in kitchens, bathrooms, and more. 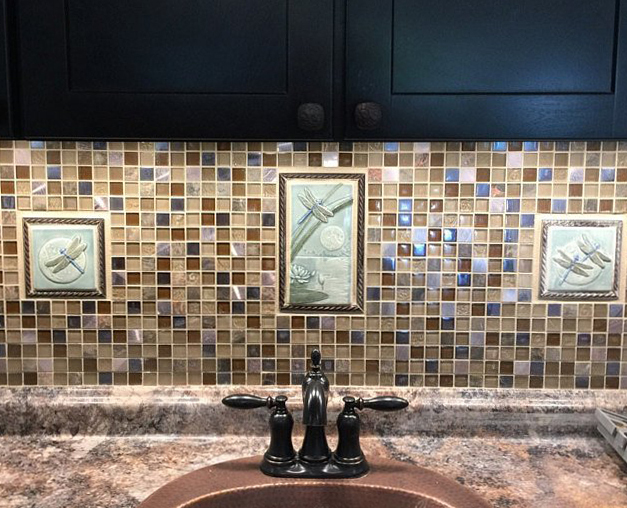 A tropical Art Deco theme. 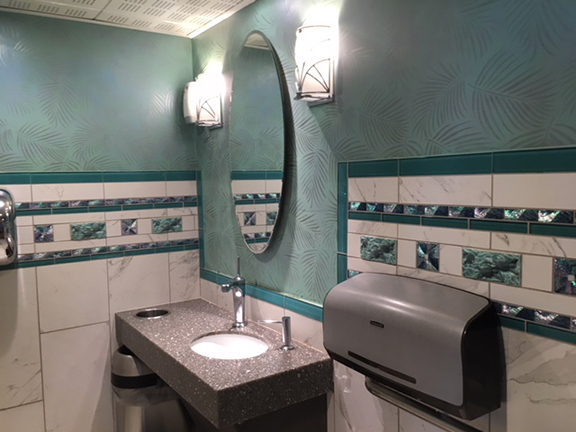 The client, Patti Bruce / Decorative Designs, remodeled 7 restrooms for their fine dining restaurant aboard the Star of Honolulu dinner Cruise ship out of Aloha Tower Marketplace. 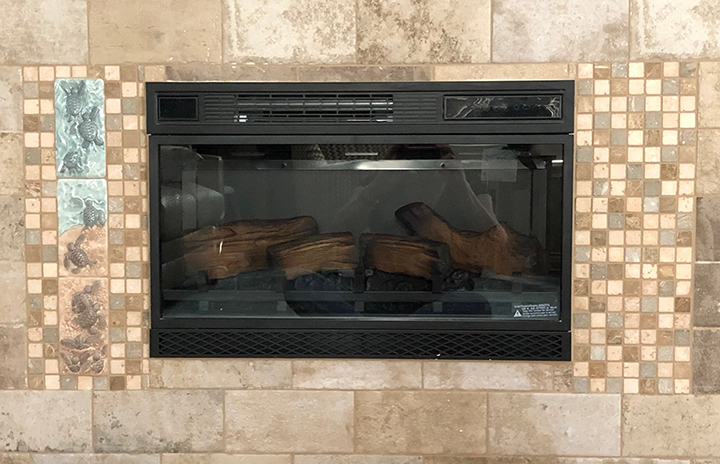 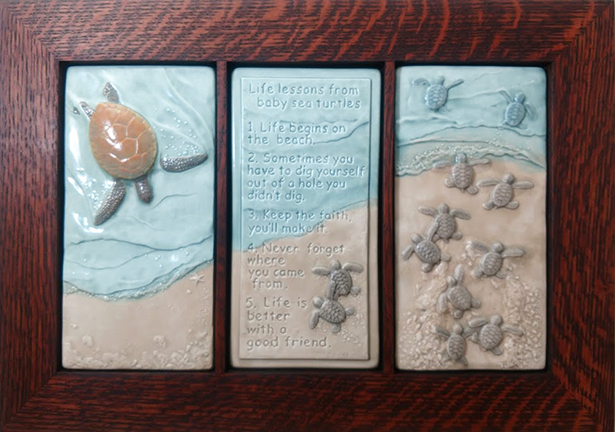 Our “Turtle Triptych” tiles were used in this installation.